To have my own cooking show was one of my childhood dreams. I was in secondary school when I started to get more interested in cooking. I have collected cook books, food magazines, flyers and even newspaper clippings. Today, I make sure to prepare healthier meals. I also learned to use different kind of herbs and organic vegetables. 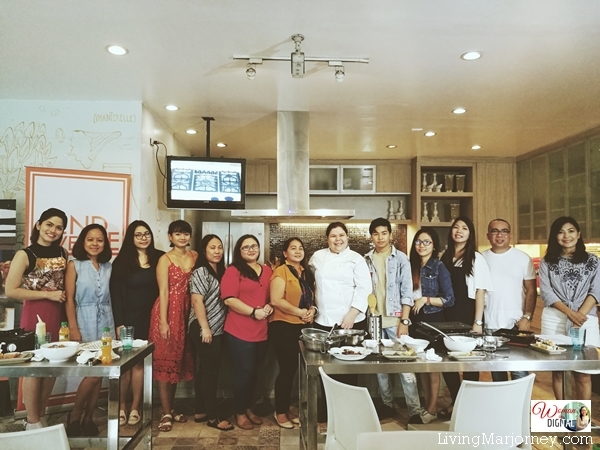 2nd Avenue hosted a cooking class for the bloggers at Mushroom Kitchen in Valle Verde. I was one of the invited guests. Some of us knows how to cook, others still new in the kitchen. 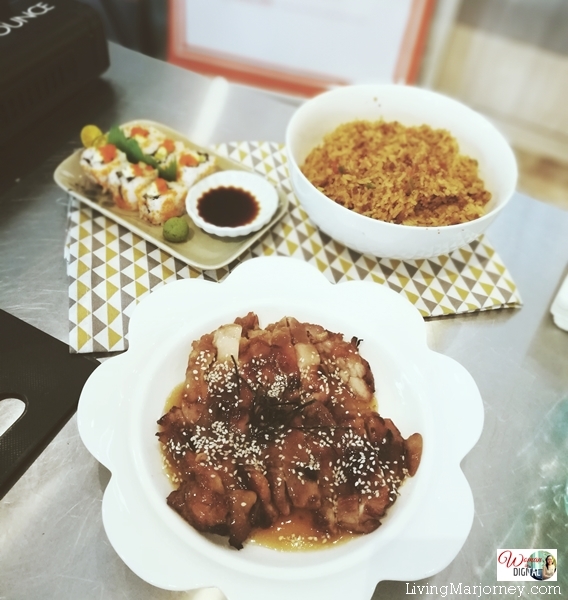 We prepared three dishes - easy tempura, chicken teriyaki, fried rice using left over rice and maki rolls. All these three dishes we made are so easy to prepare with ingredients which are usually available in everyone's kitchen. 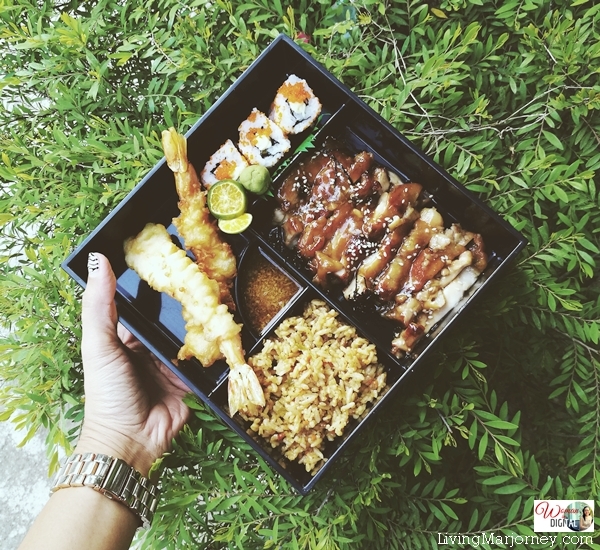 To make it more appealing, we placed them in a bento box. My personal favorites are the tempura and chicken terriyaki. They were so flavorful. 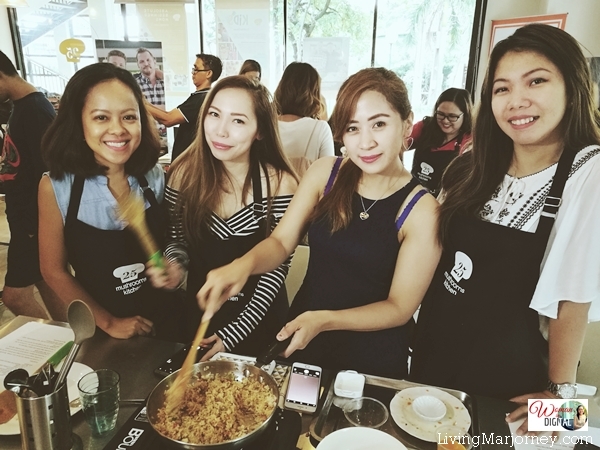 I had a wonderful time with the girls during the cooking class. Some of us were not really into cooking so it was a good combination because we share our experiences to one another. 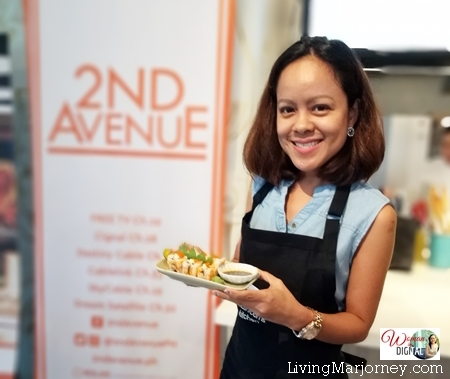 2nd avenue interviewed me afterwards and here's what I said... hope you'll watch this video prepared by 2nd avenue. It was fun! The best of the best chefs face-off on 2nd Avenue as it delivers an exclusive access to the delightful world of cooking on Knife Fight 3 and Hell’s Kitchen 13! Sunday primetime is lit by Knife Fight 3 with its underground tournament style battle taking place during the overnight hours when restaurants close their doors to the public. 16 top chefs from the New York area face mystery ingredients that must be used in the dishes they prepare. Only one chef remains and is named New York's "Beast of the East." Former "Top Chef" winner Ilan Hall, who owns The Gorbals Brooklyn, continues in his dual role as host and judge. Joining him as judges are chefs Naomi Pomeroy and Kris Morningstar. This August, 18 contestants vying for the top spot and to be the Head Chef at Gordon Ramsay's Pub & Grill at Caesars Atlantic City will premiere in Hell’s Kitchen Season 13 on 2nd Avenue. The show is hosted by world-renowned chef Gordon Ramsay as he puts aspiring young chefs through rigorous cooking challenges and dinner services at his restaurant Hell’s Kitchen located in Hollywood. He is known for his fiery temper, strict demeanor, and use of expletives. He often makes blunt and controversial comments, including insults and jokes about contestants and their cooking abilities. Knife Flight 3 airs every Sunday on primetime at 9 PM. Stay tuned for the premiere schedule of Hell's Kitchen Season 13 on 2nd Avenue. 2nd Avenue is the only general entertainment channel on Free TV and Pay TV that offers diverse content, featuring delightfully driven characters for the discerning market. Seen on UHF Free TV Ch. 29, SkyCable Ch. 19, Global Destiny Cable Ch. 29, Cablelink Ch. 35, Cignal Ch. 28, and Dream Channel Satellite Ch. 32. Stay tuned for more healthy and delicious meals from Woman In Digital. Meanwhile, don't forget to watch Knife Flight 3 on 2nd Avenue.